Just as the Great British Sewing Bee seems to have evolved as a TV series (more challenging tasks, contestants working with a variety of different fabrics and techniques etc), so too does the accompanying book. I reviewed the book for the first series here and was mostly positive about it, my main criticism being the lack of patterns included. I was recently asked to review the book for the current series - Fashion with Fabric - and wow, what a difference a couple of years makes! The focus this time is on the fabrics used, which makes for a surprisingly interesting read. The book is split into four main chapters based on the most widely used and popular fabrics: cotton, wool and other animal fabrics, stretch fabrics and luxury fabrics. The reader is encouraged to use the book as a starting off point, then experiment with their own ideas, which I think is a great approach to take. Lots of projects also have 'hack' suggestions, some of which are improvements on the original pattern in my opinion! Each chapter also contains advice and tips on working with these different fabrics, which I found really useful. Unlike other pattern books (and I include the first GBSB book here), there is a comprehensive section of the book dedicated to adjusting patterns for an accurate fit. As well as standard bust, waist and hip measurements, the reader is told to take a high bust measurement to determine whether a full or small bust adjustment is required. It then shows you how to do one. This is such an important fitting step for a lot of women, yet it's only ever skirted around in a lot of books. There's also advice on moving darts, broad or narrow back adjustments and a page of useful tips on fitting trousers and fiddling about with crotch depths and lengths. The author - Claire-Louise Hardie - has years of experience as a theatrical and costume designer and runs her own sewing school. She's also the sewing producer for the show and this working knowledge absolutely shines through in the book. … and the sleeveless collared blouse. There are some patterns that I can admire from afar but will probably never try: the men's kilt is one - although I'm tempted to make it for the sole reason of getting Jon to model it! The drapey knit dress is another as it's so far removed from my personal style. I can admire it on others who CAN rock that style though, I'm thinking specifically of Karen's version from Did you Make That? Simply stunning. I've been keeping one final pattern up my sleeve - the lace pencil skirt - as it's one I've already made! I kept coming back to it in the book and in the end just decided to give it a try with some leftover fabric from my lace top. For the underskirt I used a sea-green lining fabric previously used to line the sleeves of my boiled wool coat, so all in all, a good stash busting exercise! The skirt is a simple, elegant shape with no front darts, an invisible zip and a facing. I only ever intended it to be a practice run to test out the pattern, but I think the finished version is totally wearable. I also made it before this week's episode of the GBSB and let me tell you, I could NEVER have finished it in 3 hours or however long they were given. Hats off to the semi finalists! Using the finished measurements as a guide, I made a size 10 with no adjustments, and the fit is spot on. The two skirt layers are made up separately, but attached around the zip as a single layer. They're then treated as two separate fabrics below the zip. It's a brilliant technique which I'll definitely use again. I also used hairline seams for the first time, where the seam is stitched, narrowly zigzagged and then trimmed. A hairline seam is a good choice for sheer fabrics and it worked well for my lace overskirt, creating a very light finish. I'm amazed by the number of excellent tips and techniques I've picked up from reading this book - I learnt two new ones just from making a simple skirt! I'll keep you updated with anything else I make from it, but so far, it's shaping up to be one of my favourite sewing books to date. 'Fashion for Fabric' was given to me free of charge for review by Quadrille Publishing. All views my own. I too thought it a really good book, I just can't seem to put it down. I am so impressed with your pencil skirt, having watched the contestants making it I thought it soooo difficult! Your skirt is stunning! And you're right about the contestants, they are incredibly fast. Can't wait to see who will win, but my guess is Neil. I will have to take a look at the book; but meanwhile that is some gorgeous skirt you made. Love the lace fabric, and the ribbon detail of the lace pattern is wonderful. Your skirt looks absolutely lovely! SUPER flattering skirt! Looks great on you. I got last year's book and am yet to make something in it. This looks a lot more exciting! That is one of your prettiest makes - just beautiful! Gorgeous skirt! I'm in awe of the speed sewing that happens on GBSB. not something I could ever do! I'm really impressed with the book too; I wasn't convinced by the first two but ponied up for this one as a pre-order purely based on the author! I'm not disappointed and love that it encourages hacking patterns! I'm hoping to make the same skirt eventually, I'm thinking black lace on black though, a work appropriate skirt that is a little bit fun. Yours looks fabulous though, I wondered if attaching the zip would be difficult but as the two fabrics are treated as one for the zip installation I can see it would not be as hard as previously thought. I've just finished the sleevel shell top, from the book and it was a lot of fun to make. Being 5'10" it's a teensie bit shorter than I'd like, but that's completely my bad for not adjusting it, otherwise it fits wonderfully. I've now adjusted the pattern and will make another one quick smart. I agree with everyone, nice skirt! Sold! My copy will be arriving tomorrow. I'm hoping the Japanese draped top pattern from tonight's final might be in it, but no reviews have mentioned it. Your lace skirt is terrific. 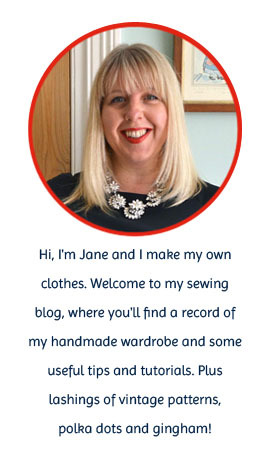 Thanks Anna that's really helpful - I don't know if my sewing skills are up to drafting yet though :( I think I'll give the Capri pants a go first. Spent today reading my shiny new copy, and I just love it. My list of things to sew has just got a lot lot longer, and I shouted "hallelujah" when I saw the measurements they have used reflect my RTW sizes exactly.